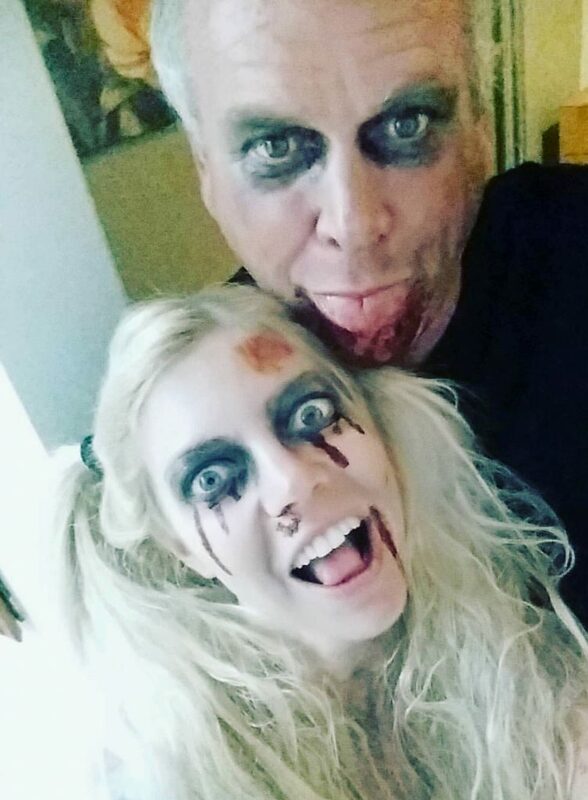 Amanda Harper, 25, and Jay Horsky, 58, maintain they are not ashamed of their age difference, despite receiving evil stares, nasty comments and being confused for father and daughter. The pair from Huntington beach in California, USA, met on Plenty Of Fish, after Amanda was drawn to her older gent’s greying hair and intense eyes. After meeting up the pair became inseparable bonding over Jay’s passion for building Halloween props and even opened a haunted house business of their own. Amanda who has received online abuse for their three-year relationship, being called ‘disgusting’, ‘a horrible person’ and ‘a gold digger’ says she tries to ‘laugh off’ the comments. Instead of taking offense, the couple try to show others how ‘happy and healthy’ their relationship is and prove that ‘age is just a number’. Amanda, who works at PetSmart, said: “We’re hoping to change people’s minds one day at a time by showing how great we are together. “It’s annoying having to defend our love, but it’s only typically people in unhappy or toxic relationships who struggle to understand. “I lost one friend because I was dating Jay, he didn’t like my relationship based on the age gap – and called me ‘disgusting’, ‘a horrible person’, ‘gold digger’ and more. “I don’t understand why I get called nasty things for being in a happy and healthy relationship, it just blows my mind. “Even in pictures of us, you can often see people’s shocked or disapproving faces in the background, but we don’t let it get to us and still remain happy. “You get the evil eyes and daggered looks but I would say we have more positive feedback than anything. “We laugh about it a lot, we never want to associate any negativity towards age gap relationships and want to educate people. “The worst part for me is that people can’t see that we are good for each other and very happy. “Just because we are different ages doesn’t mean we are not compatible, it’s still taboo to be in an age gap relationship but things are getting better. Amanda found Jay through online dating, after quizzing him about a picture of him with a Bengal Tiger, the pair met up for dinner and bonded immediately. She said: “I approached him after liking his picture online and noticing that he was 15 minutes away from me, a few days later we decided to meet up. “Before, Jay wanted to make sure I was “real” and was over 18 because he simply couldn’t believe I would be interested in him. “He had also been divorced three times and scorned by women so wanted to make sure he wasn’t getting into trouble or a trap with online dating. “On our first date, we were both talking nonstop, I hugged him immediately and was drawn to his energy, he was so warm and inviting. Amanda says older men have always been her type but something about Jay was enough for her to go public for the first time with an age gap relationship. She added: “I have always been attracted to older men, but Jay specifically caught my eye. “It was definitely his hair, he has that perfect shade of silver, his eyes are so intense and then he’s so happy and focussed. “I felt like when I was talking, he was paying full attention to me as a person, he seemed genuine as soon as I met him and I knew I wanted to see a lot more of him. “He’s so smart and no matter what situation we are in he seems to know what to do better than anyone else, he just takes control of a situation. “For me, men under 40 are just too young, when my friends point out someone young and attractive I have to ask them what shirt they are wearing because I can’t see it. 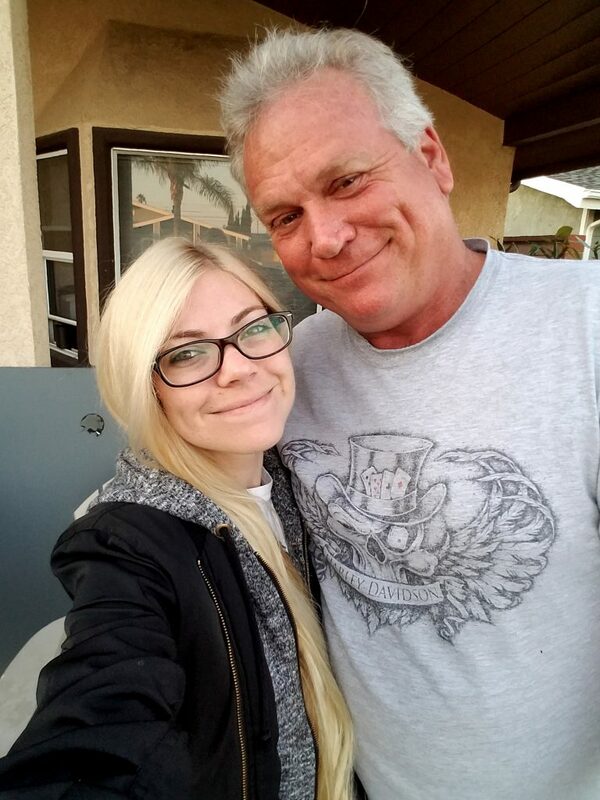 After Amanda initially told her dad about her relationship with Jay, who is 11 years older than him, he initially opposed them – but has since warmed up to his daughter’s date since meeting him. 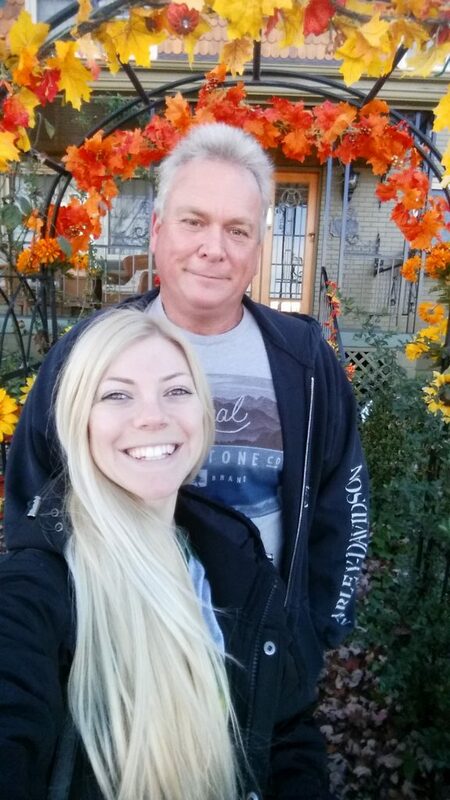 Amanda said: “My dad is younger than my boyfriend and at first he was angry, he was ready to fight Jay. “I’m his only daughter, so he was very protective, on the day they both met he came in huffing and puffing, not knowing what Jay looked like. “Jay handed him a beer and the two of them started talking without my dad realising who he was, by the time he knew Jay was my boyfriend they had got on really well. Amanda says Jay’s family, consisting of 2 sons, 3 step daughters and 4 grandchildren, have been very welcoming. She added: “Jay’s grandchildren are beyond great, they are very accepting of me and we love each other just like grandmas and her grandchildren do. “I always wanted to be a grandmother but was never interested in being a mother, they love me and have no problem telling strangers I’m their granddad’s girlfriend. “It’s cute hearing them showing off about us to other people because to them age is just a number, they are cheering us on and defending us regularly. The loved-up pair continue their Halloween business together as they bond over creating new ideas for props and scares. 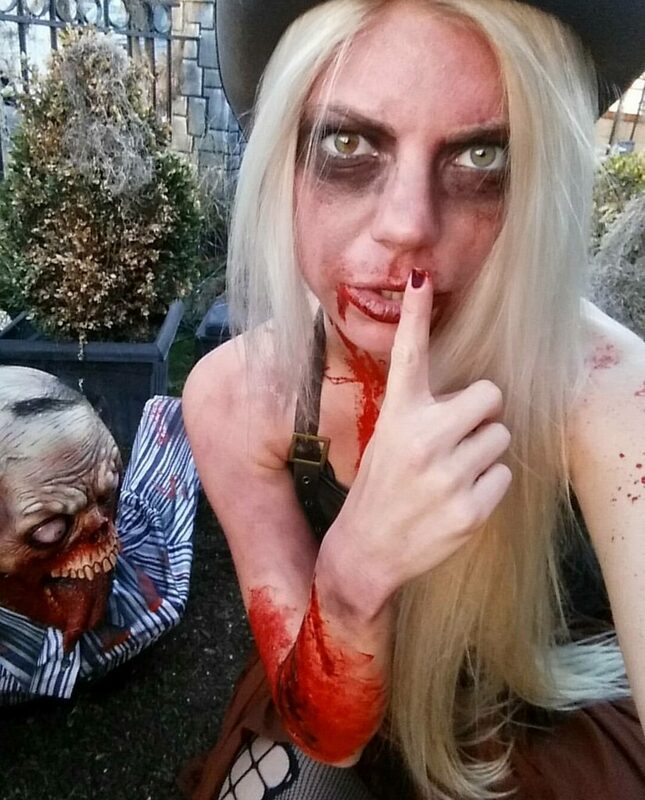 Amanda said: “We love Halloween and bonded over building Halloween props in the early days of our relationship. 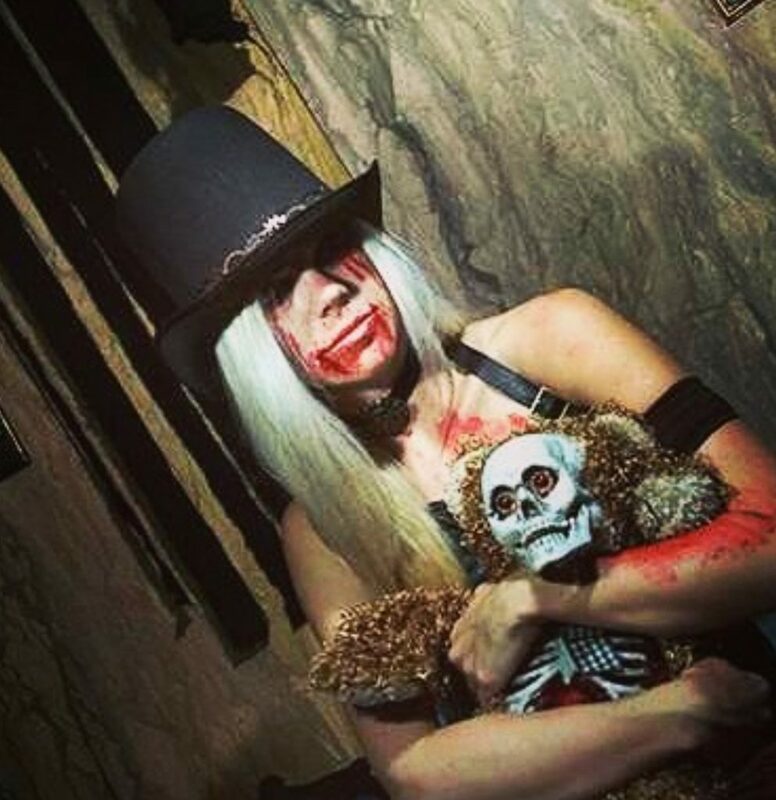 “We love scaring people, dressing up and getting all crazy and twisted, it’s a release that we can share together.